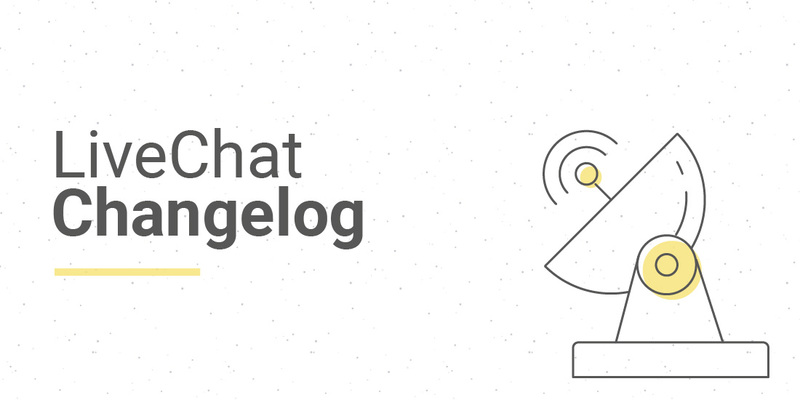 This LiveChat Changelog reports changes in the LiveChat product made during the last two weeks, from Monday 18th of December to Sunday 31rd of December 2017. The end of December is the time of looking back at what we have done during the year and of making plans for the months to come. Here at LiveChat we’re preparing for yet another year or growth and progress. Perhaps it will be you who joins us on this journey? Visitor SDK: Add chat_rated callback. Visitor SDK: Add URL rules support. Release React Chat UI Kit — a set of React components to build elegant chat windows. Release LiveChat React Native component.